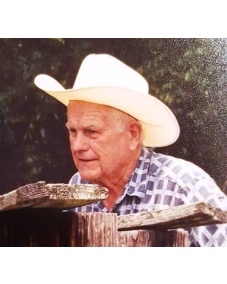 Graveside services for Charles Scott Bibb, Jr. age 95 will be conducted at 10:00 AM on Saturday, June 30, 2018 at Andrews Cemetery in Karnack, TX. Rev. Mark Landers of Karnack United Methodist Church will officiate. Visitation will be held Friday evening from 5:00-7:00 PM at Sullivan Funeral Home. Mr. Bibb passed away at home on Tuesday, June 26, 2018. He was born January 29, 1923 in Marshall, TX to Sibyl and Charles S. Bibb, Sr. In high school, Charles played quarter back for Marshall High School for four years earning him a scholarship to Texas A&M where he played for a year. While at A&M he volunteered to serve in WWII and joined the U.S. Navy. Charles served a three year tour a duty as a Seaman sailing around the world. After the war, he continued his education at ETBC earning a degree in business. Charles worked as an electrician for Joe Woods Electric and after many years retired from the Longhorn Army Ammunition Plant. He was an avid duck and quail hunter and cattle rancher. Mr. Bibb was preceded in death by his parents; granddaughter, Kendall Paige Bibb; and sister, Nancy Wallace. He is survived by his loving wife of 69 years, Lillian Ann Howell Bibb; daughter, Becky Bibb Foltz; two sons, Charles Scott Bibb, III and James F. Bibb; six grandchildren, Scott Foltz and wife Amanda, Emily Shoots and husband Thomas, David Foltz, Tyler Bibb, and Jake and Josh Bibb; and three great grandchildren, Parker, Oliver, and Ivyanne. In lieu of flowers, the family requests donations to the Karnack United Methodist Church at 925 T J Taylor Ave, Karnack TX 75661 or to the charity of the donor’s choice.